Large vehicles such as tractor-trailers and buses are exponentially heavier than passenger vehicles. While these vehicles have sophisticated braking systems, they nevertheless require a great deal more time and distance to bring to a stop. This distance becomes even longer when vehicles are traveling at highway speeds. Currently, one in ten roadway deaths results from a collision with a large truck, and about 40% of all large truck accidents occur at speeds ranging between 60 and 75 mph. In order to prevent accidents occurring at high speeds, two divisions of the Department of Transportation have proposed rules that would require vehicles weighing over 26,000 lbs. to be mechanically unable to travel at high speeds. 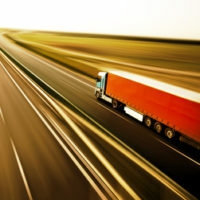 The National Highway Traffic Safety Administration (NHTSA) and Federal Motor Carrier Safety Administration (FMCSA) have each crafted rules that would require these large vehicles to use speed limiters that would cap the vehicle’s speed at 60, 65, or 68 mph, depending on the final version of the rules adopted. The rules are currently available for public comment. Transportation Secretary Anthony Foxx announced the proposed rules, noting that, “[b]ased on the agencies’ review of the available data, limiting the speed of these heavy vehicles would reduce the severity of crashes involving these vehicles and reduce the resulting fatalities and injuries.” Department of Transportation research has shown that 11 out of 100 speed-limited trucks are involved in accidents, while 16.4 out of 100 trucks without speed limiters are involved in accidents. Further, their research shows that a speed limit of 60 mph would prevent up to 498 roadway fatalities each year, and up to 10,500 injuries. Foxx also noted the device’s potential impact on the environment. “In addition to saving lives, the projected fuel and emissions savings make this proposal a win for safety, energy conservation, and our environment,” he said. The Department of Transportation has determined that over $800 million in fuel costs could be saved if the limiters capped vehicle speeds at 60 mph. If you have been injured in an Idaho truck accident, seek the compensation you deserve for your injuries by contacting the knowledgeable and determined Idaho personal injury lawyers at Pedersen & Whitehead for a consultation, in Boise at 208-336-2552, or in Twin Falls at 208-734-2552.